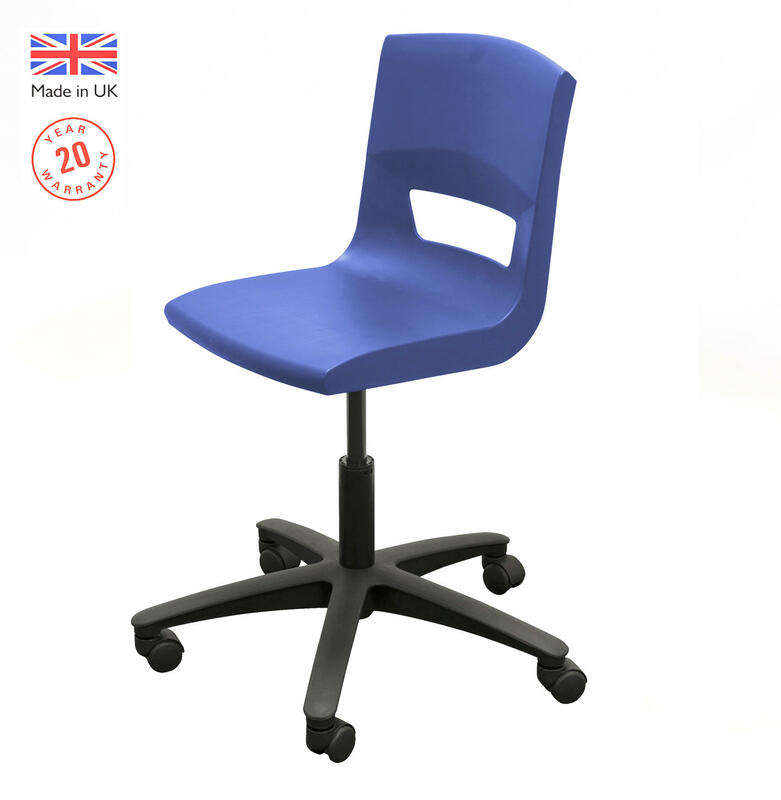 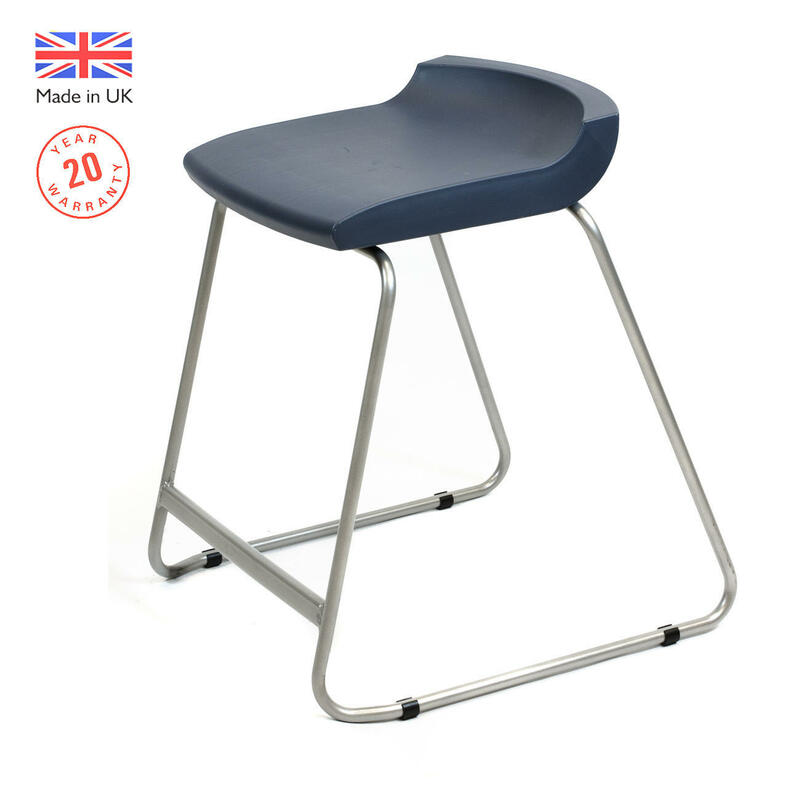 The Postura+ low-level task stool is a strong height adjustable one piece polypropylene seat that will not stain or mark and ideal for use in areas where space is limited or requires the user ease of access whilst working. 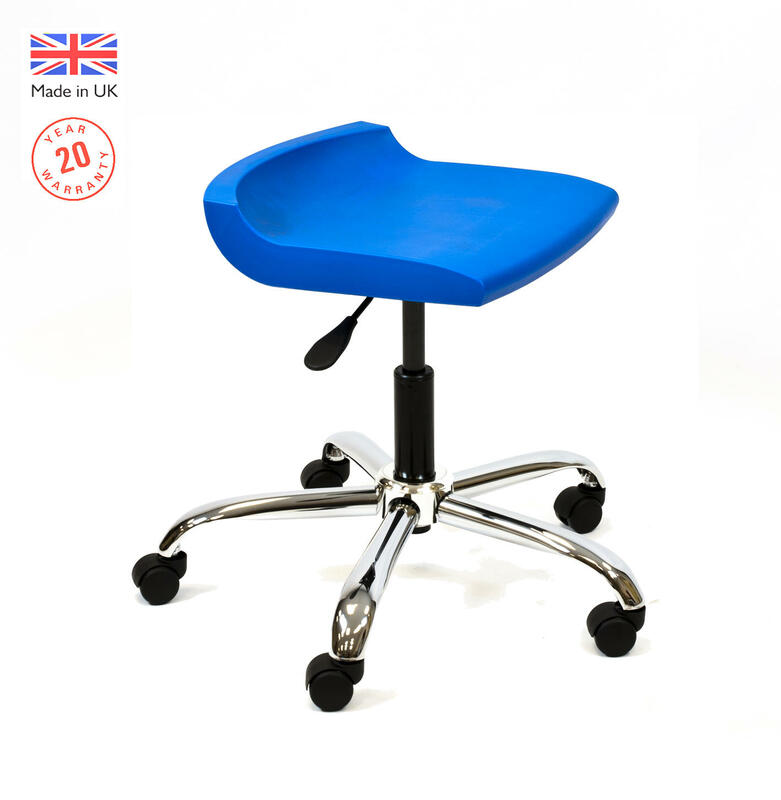 The ability to rotate 360 degrees without obstruction and adjust the working height of the stool. 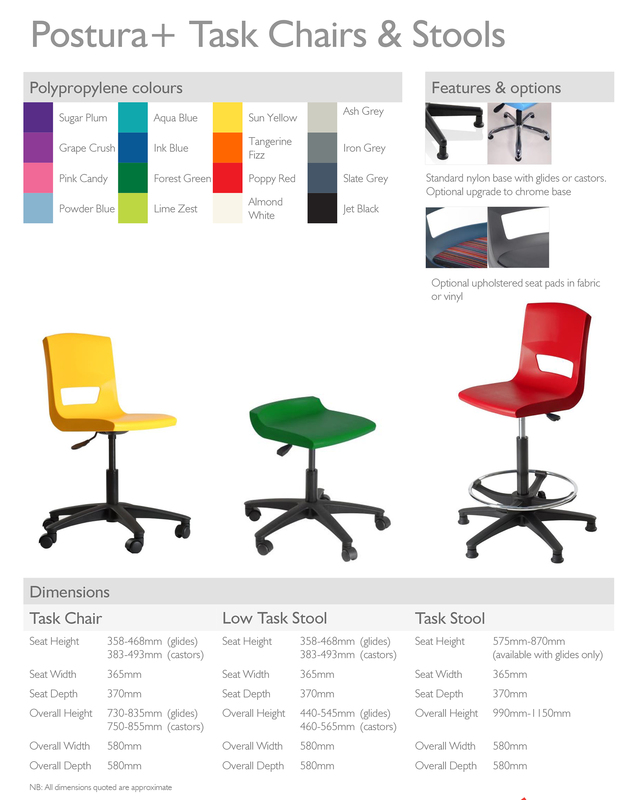 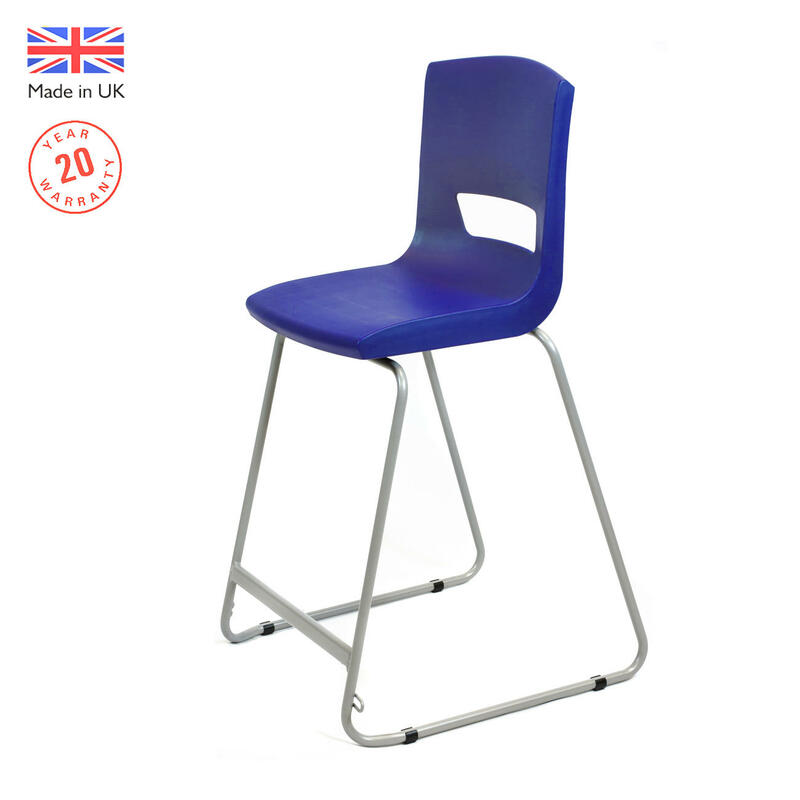 Available in a wide choice of colours from pink to purple stools and with a black or chrome base with glides or castors.